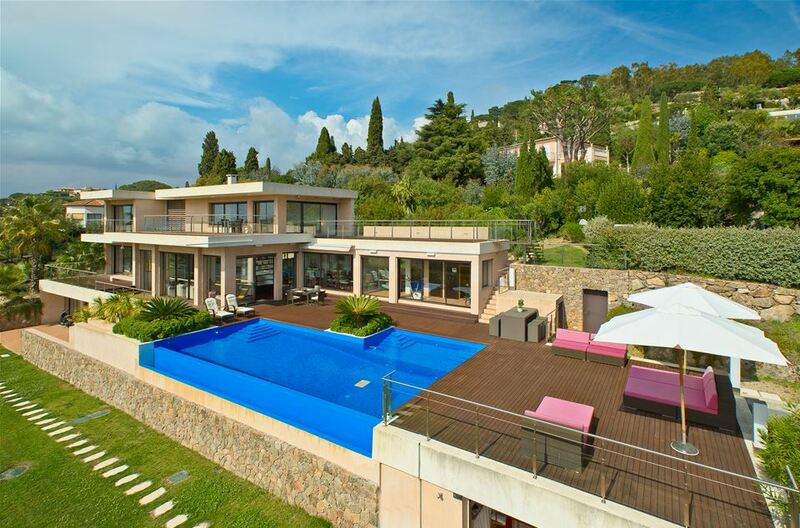 This stunning villa is set in the sought after location of Croix des Gardes in Cannes. 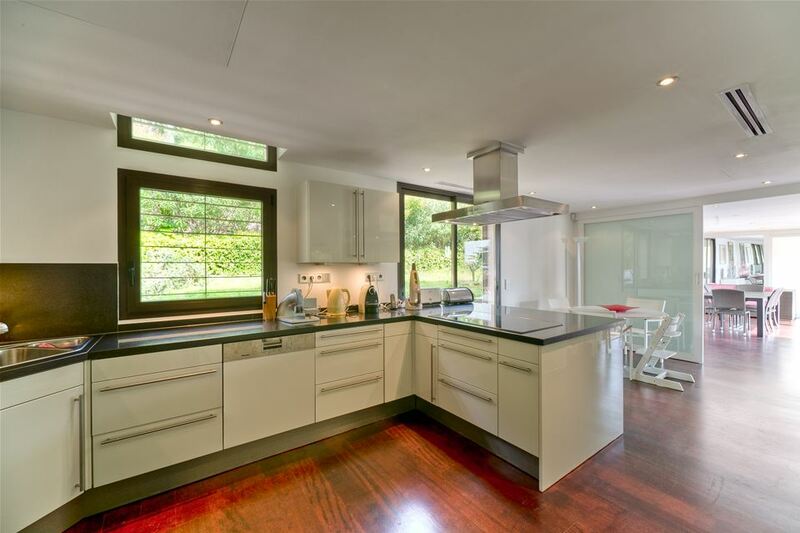 A newly renovated property with 5 bedrooms and a gorgeous swimming pool with panoramic views. 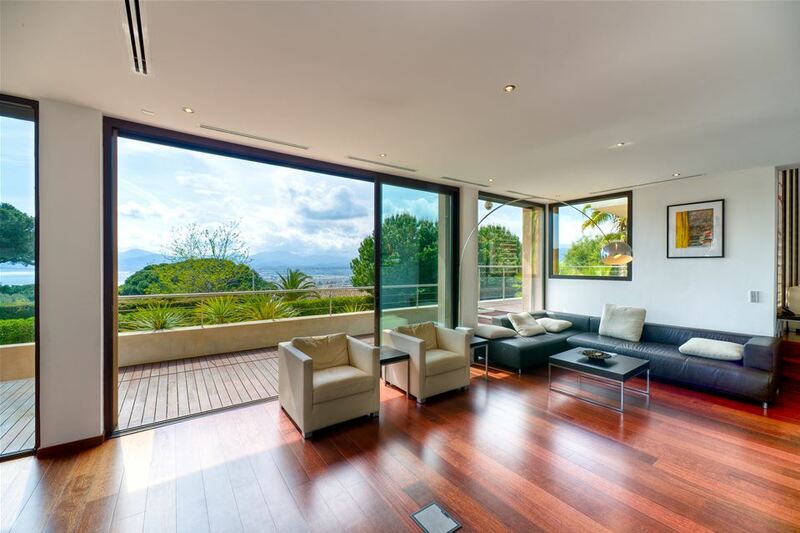 This awe-inspiring property has multiple terraces for relaxing and enjoying the heat of the Mediterranean sun. 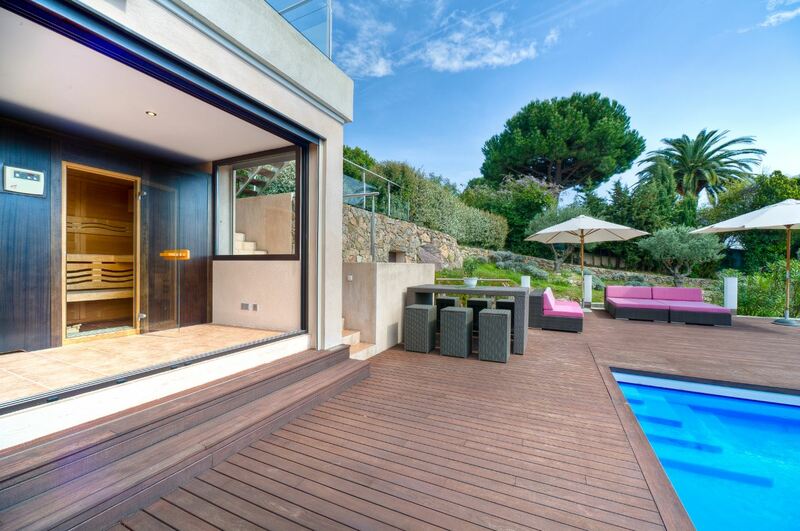 At approximately 10 minutes drive to Cannes and a 5 minute drive to the beach, this property is in the perfect location and within close proximity to the hustle and bustle but far enough away to enjoy peace and quiet in your private abode. On the first floor you will find 2 bedrooms, one being the master with sofa and TV, both with en-suites, terraces and delightful sea views. 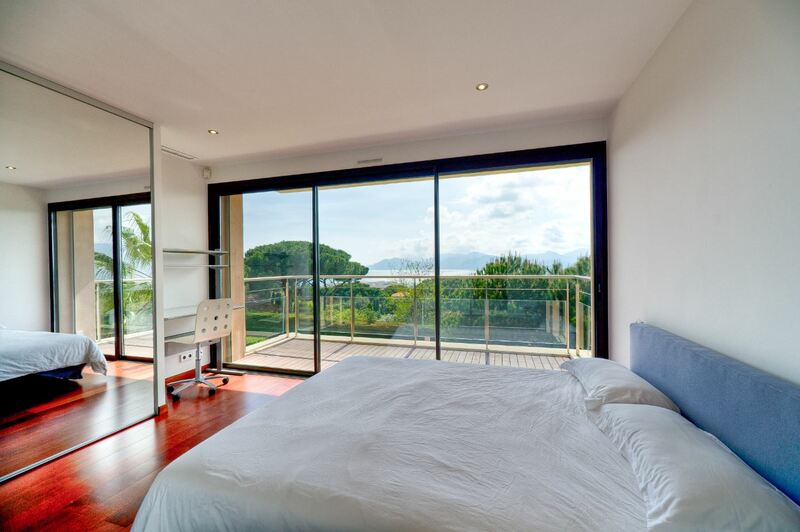 On the ground floor you will come across the third bedroom, again its own private terrace with sea views, then you also have the fully equipped kitchen including Nespresso machine, the dining room with seating for up to 10 people and the living room with terrace access. Also on this floor you will find a fitness suite with a sauna. 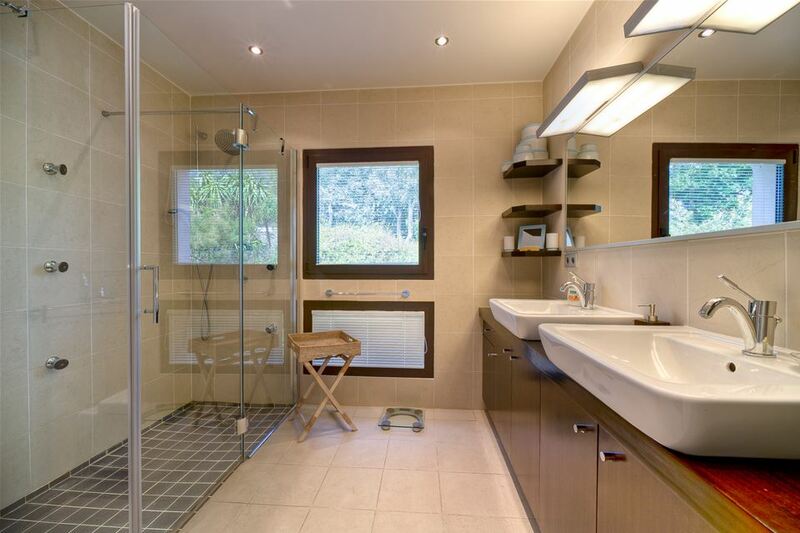 The below level you will then find a separate apartment which includes the fourth and fifth bedrooms the fifth having twin beds, a bathroom and a American kitchen, living room and laundry room.